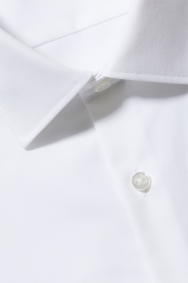 A classic shirt with plenty of sophistication. There is nothing quite like a plain white shirt for versatility. It will go with anything and see you looking sharp. Thanks to its HUGO BOSS tailoring, this shirt is an exceptional choice if you’re after an investment as it’s cut to flatter and made from a premium 100% cotton material. 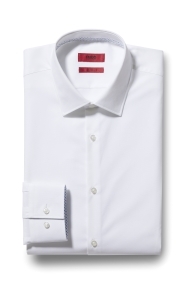 Pair this shirt with any suit and dress it up with a silk tie and contrasting pocket square.